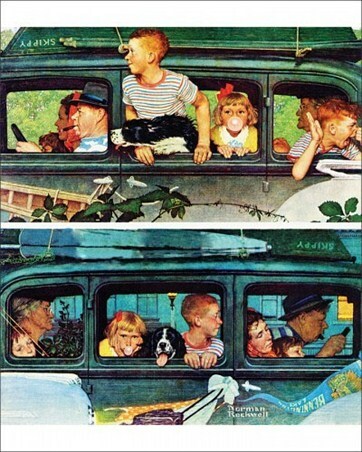 Art Poster Card: Famed for his beautiful interpretations of everyday life, American illustrator Norman Rockwell captures a heart warming scene in this poster card that is sure to make you smile. 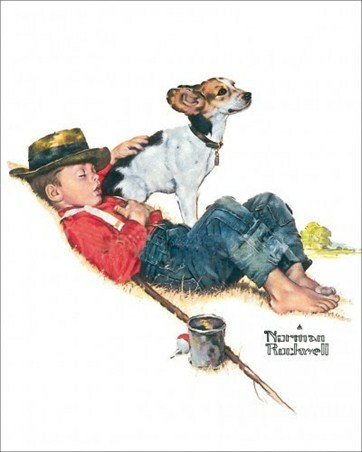 Entitled 'The Adventurers' this charming image depicts a young boy and his dog taking a rest after a hard days fishing. As the young boy closes his eyes for a quick nap, his loyal dog stands at his side to watch over him. 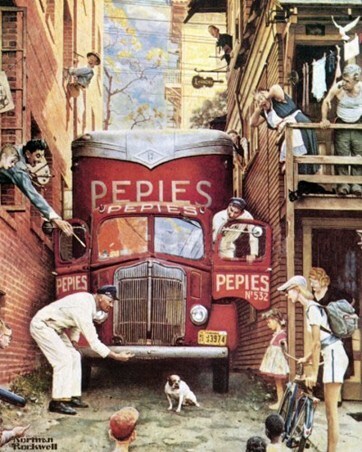 With beautiful colour and intricate detailing, this adorable image would make the perfect addition to any Norman Rockwell fan's collection. 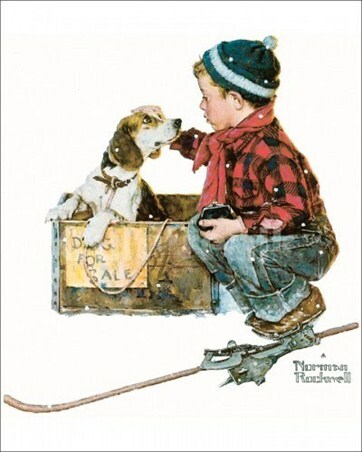 High quality, framed The Adventurers, Norman Rockwell poster card with a bespoke frame by our custom framing service.